WD Black hard drives have long been the go-to hard drive for many storage consumers. They satisfy the needs of those looking for fast, reliable storage and although they are priced on the high side, they come with a 5-year warranty, which is hard to beat. 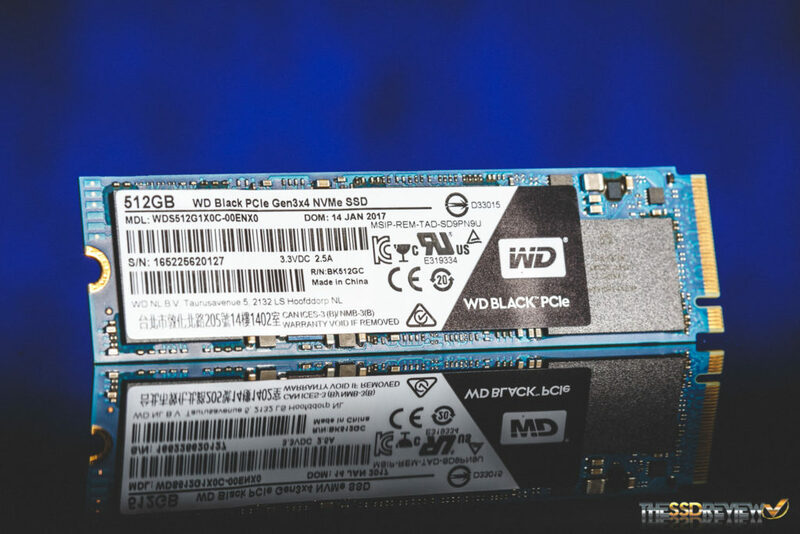 However, with the release of so many SSDs into the market, WD had been falling behind. Consumers now demand faster storage than what HDDs can offer. WD had no choice but to finally enter the SSD market. Due to this, WD acquired SanDisk, which in turn gave them the necessary tools to make their entrance. After some months of waiting, they finally released their first SSD, the WD Blue SSD. Similarly designed to that of a current generation SanDisk SSD, the WD Blue proved to be a good first go. For many enthusiasts, on the other hand, other SSD manufacturers are in the limelight. 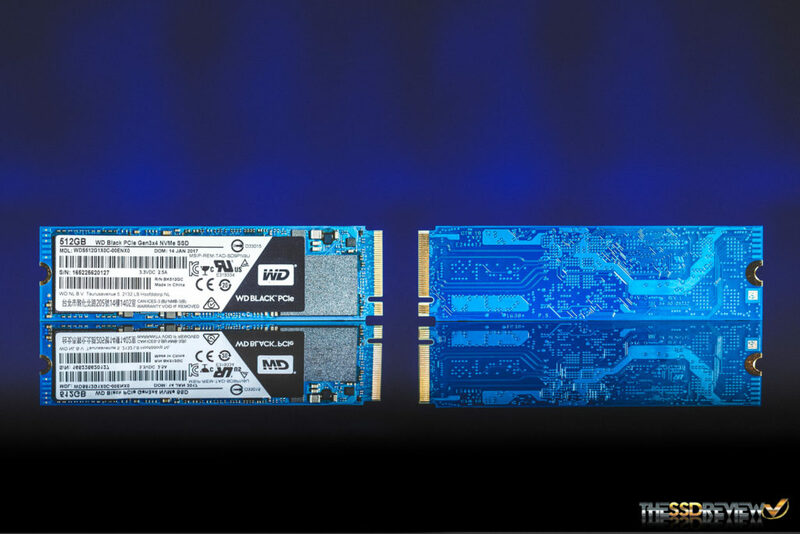 There is what seems to be a plethora of PCIe NVMe SSDs in the marketplace, but WD hasn’t had anything to show, until now. Back at CES 2017, WD unveiled the latest edition to the WD Black family, the WD Black PCIe. 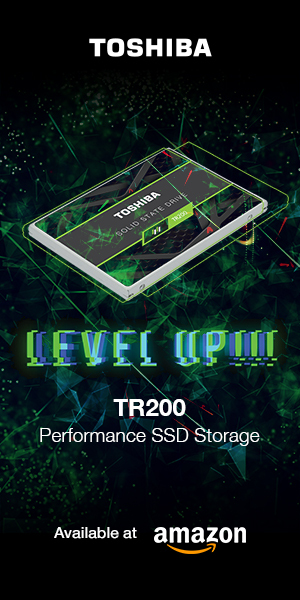 With an M.2 2280 form factor and PCIe NVMe interface, this SSD delivers speeds that are more than three times faster than SATA SSDs and magnitudes faster than a typical HDD. But, will it stand out in the sea of NVMe SSDs or will it fall short of WD’s Black brand lineage? Read on as we take a closer look at it in today’s review. 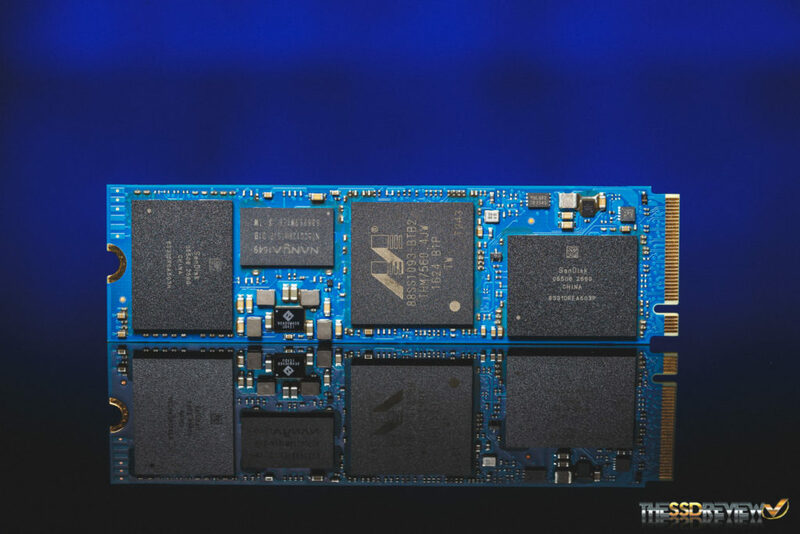 The WD Black PCIe is a PCIe 3.0 x4 NVMe M.2 2280 form factor SSD. It is currently available in two capacities, 256GB ($109.99) and 512GB ($199.99). It is rated for read speeds of up to 2,050MB/s and write speeds of up to 800MB/s. The 256GB model has the same read speed rating but is rated for up to 700MB/s for write. In terms of IOPS, the WD Black PCIe is rated for up to 170K/134K IOPS read and write. The 256GB model is rated for up to 80TBW and the 512GB model is rated for up to 160TBW endurance as well. 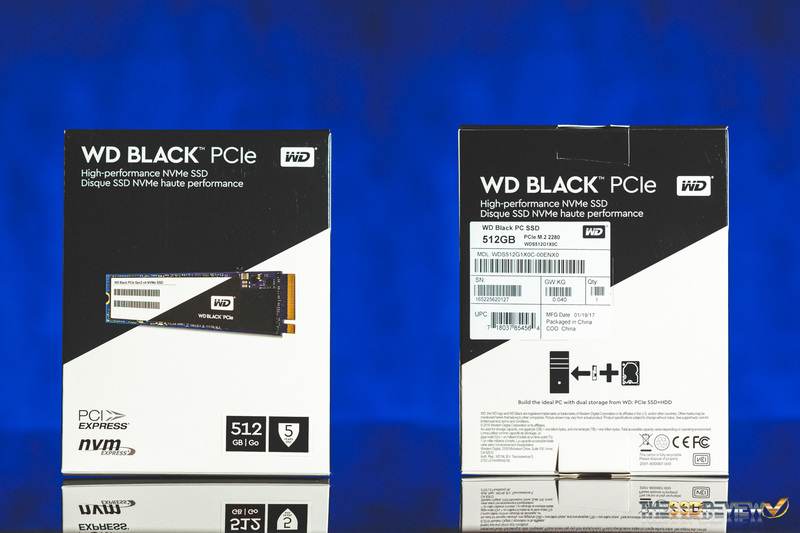 To top these off, the WD Black PCIe comes with a 5-year warranty just as the rest of their Black drives. Additionally, the WD Black PCIe has thermal throttling and power management algorithms built in to prevent overheating and maintain performance. It features SLC caching, LDPC code and traditional ECC, bad block management, background garbage collection, TRIM, and dynamic and static wear-leveling. While it does not support Windows eDrive or TCG Opal 2.0 security protocols, it does support TCG Pyrite and ATA security. It is also WD F.I.T. Lab certified, which means this SSD is certified to be compatible with a wide range of PC configurations, ensuring you won’t run into any issues when you install it in your system. 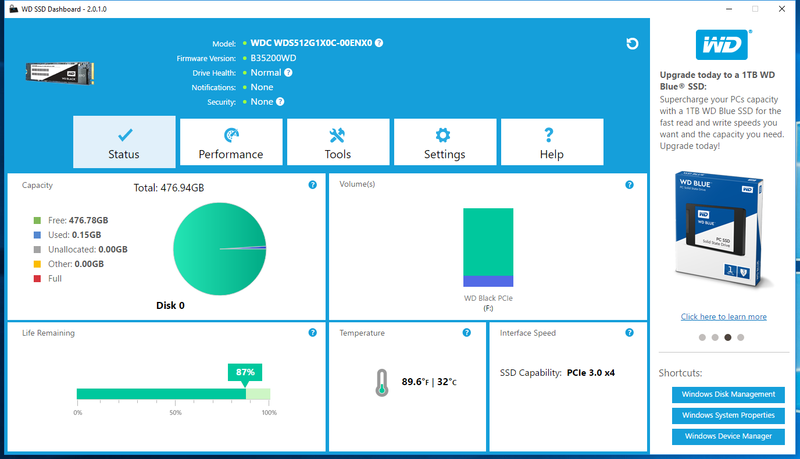 If all that wasn’t already enough, there is a downloadable SSD Dashboard and migration software by Acronis that you can download and use for free with your SSD. The packaging matches the style of their WD Blue SSD, only this time around they are utilizing black as an accent color. On the front side is a picture of the SSD, the listed warranty, and capacity as well as NVMe and PCIe logos. On the backside, it lists all the SKUs and such along with a reiteration of the capacity. In contrast to its name, the WD Black PCIe does not feature a black PCB. Instead, they utilize a blue PCB. Its overall design is single sided, which means all the components are on one side and it makes the SSD compatible with more computers. After taking off the label we can see that the 512GB model utilizes two NAND packages, a single DRAM package, and a single controller. 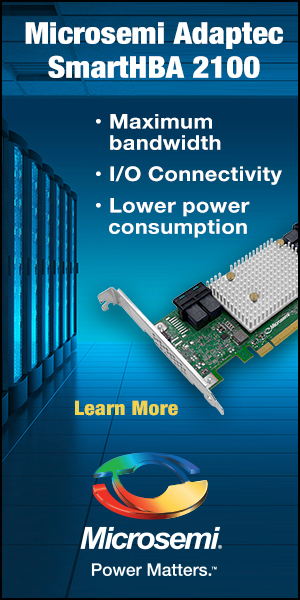 The WD Black PCIe utilizes a NANYA DRAM package and a Marvell 88SS1093 controller at its heart. Surrounding these components are SanDisk’s 15nm TLC NAND packages, each 256GiB in capacity. Once formatted, the end user has access to 476GB of space. This is the first time we have seen this combination, so let’s move on to testing to see how it performs! Wd very late to the ssd market, still finding their feet. Average drive, but 5yr warranty is standout feature. Yeah they are. Their first PCIe option is fairly good, I can’t wait to see what the next version has in store now that they got their feet wet.